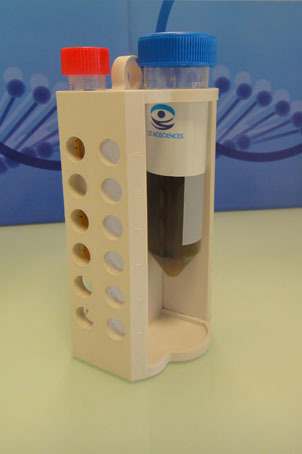 Concentrated and eluted from the magnetic beads with the Elution Buffer followed by storage with the Conservation Buffer, or used for other assays. 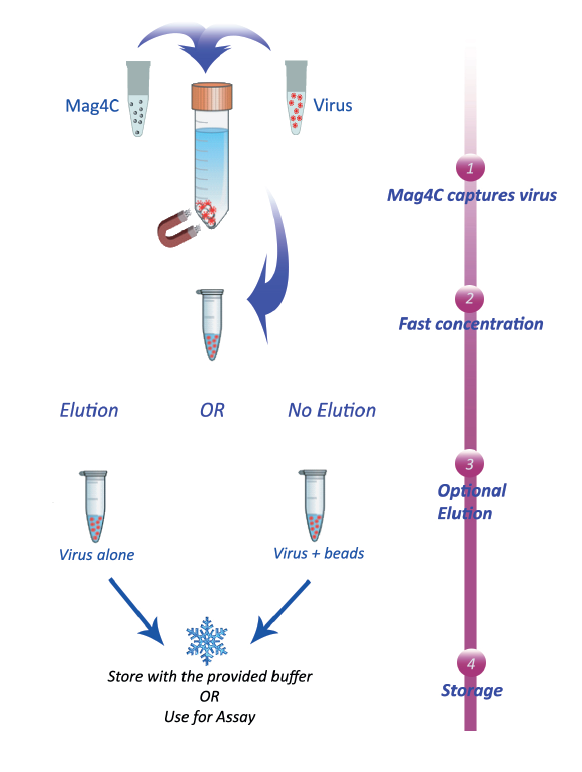 The Conservation Buffer is fully compatible with magnetic nanoparticles so that viruses bound to magnetic beads can be diluted directly into the buffer for long term storage. This kit must be used with a magnetic separation rack, which can be purchased with Mag4C-Ad or separately (see item# MSR1000). Figure 1: Protocol. Captured viruses can be concentrated or eluted and then concentrated. 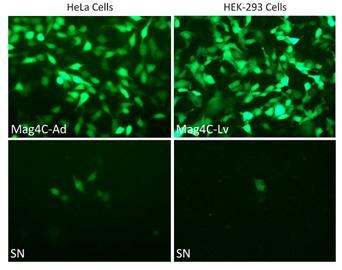 Figure 2: Mag4C beads efficiently capture viral particles. Supernatants (SN) are nearly non infectious (absence of virus) whereas the concentrated virus bound to the Mag4C beads are highly infectious. Figures 3, 4: Magnetic separation rack. 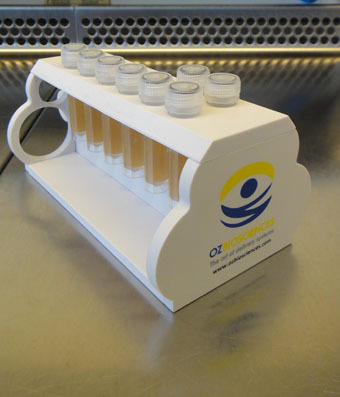 This rack can hold can hold 12 standard microtubes, two 15ml tubes or two 50ml tubes.